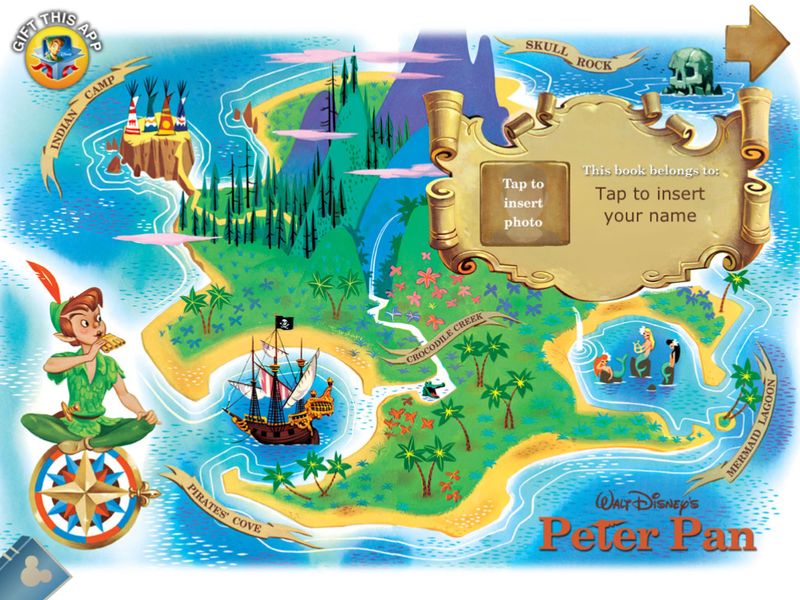 Disney’s Peter Pan app is a blast from the past, and reminded me of the joy I felt watching the original movie. 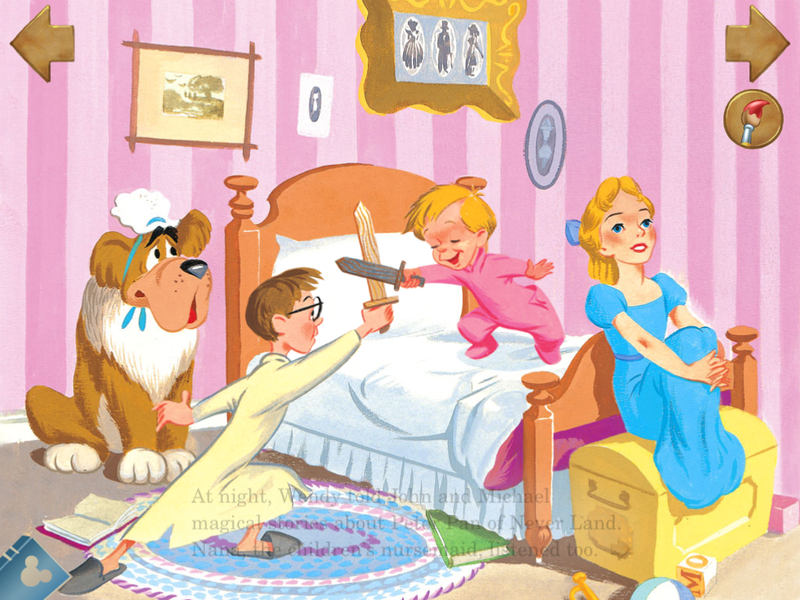 Using artwork from the 1953 movie the book is a condensed version of the Darling family children’s adventures through Neverland with none other than Peter as their tour guide. While the artwork and storyline are retro-feeling and classic, the interactivity is modern and updated. Throughout the story there are several mini-games – puzzles, memory cards, and more – sprinkled in to hold young player’s interest. The story itself can be read by the player or narrated to help non-readers keep up. 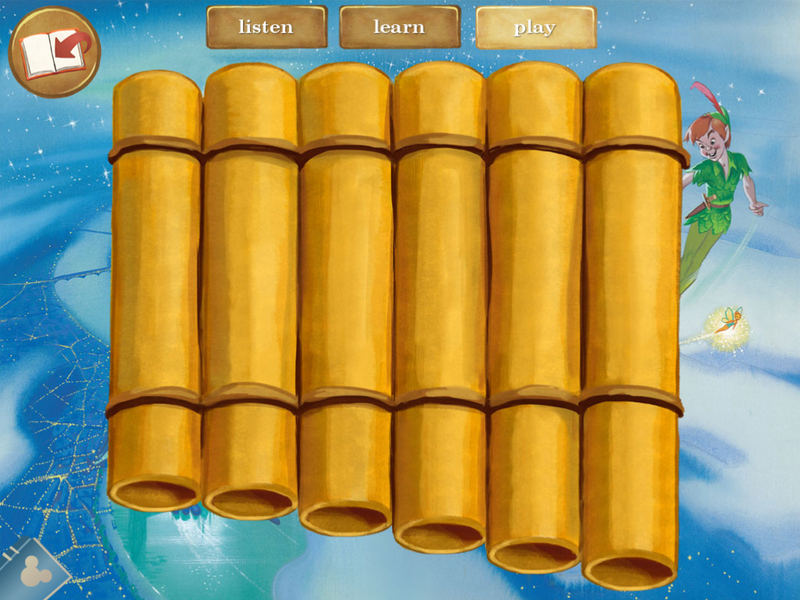 The user interface is easy and any directions for the games are spoken out loud. My two children (2 & 5) have just recently discovered the appeal of the Disney movies of my youth, and are delighted playing this app. They watch a spin-off series starring Captain Hook v2.0 on Disney Junior so they are familiar with the Neverland crew, but the original version is just as exciting to them. They didn’t even rush through the story to get to the games like they do playing some apps. Disney does a great job at fairly pricing their apps and at $3.99 Peter Pan is right on the mark. It’s the perfect digital book to help introduce young players to the classics while helping reinforce early reading and problem solving skills. – Reading modes for all ages: Read to Me or Read By Myself! – Coloring Pages, Interactive Puzzles and Memory Matching Games throughout the story! – Beautiful illustrations, professional narration and sound effects! You won’t need pixie dust to enjoy this retro-feeling, fun app!